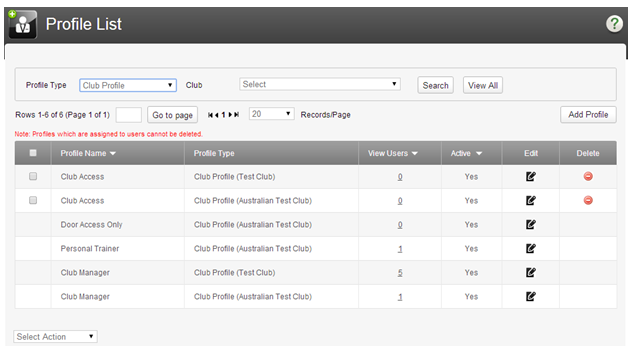 Select the Profile Type you wish to view (either Owner Entity (OE) profiles, or Club profiles), and click View All. 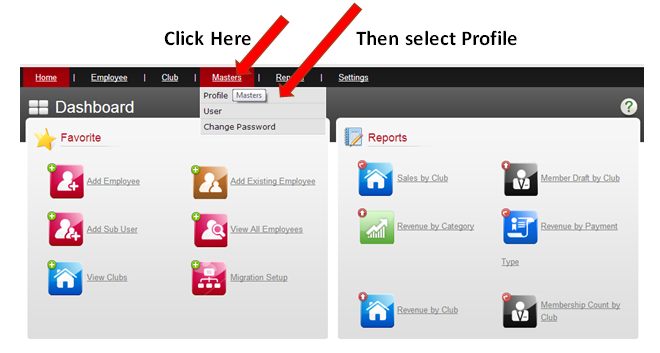 As you can see from the example above, the system will show you each profile, its name, the corresponding club, the number of users assigned to the profile, and whether the profile is active. To see the users assigned to a security profile at a particular club, click the hyper linked number of users in the View Users column.